Let's face it, relationships are hard work. But as human beings we need to be in relationship: we have an inbuilt biological drive to be in contact with other human beings. As children we grow up in a complex matrix of relationships which to a large degree will shape who we become as adults. Later, we dream about romantic relationships; as teenagers we get excited about our first attempts at sexual relationships, and these first sexual encounters are an important rite of passage into adulthood. As adults we look for committed, long term relationships, and most of us envisage happiness as being part of a relationship (whatever that may look like). What no-one ever tells us is that relationships are hard work. You could compare a relationship to a dance between two partners (or in some less orthodox cases more than two) where each partner is listening to a different tune and rhythm and they are dancing according to a different set of steps. To make the endeavor workable, possibly even graceful and good fun, a lot of resilience, trust, negotiation, willingness to compromise, skill and humor is needed. Again, this isn't really stuff that is taught to us beforehand, and we often believe that a relationship is supposed to save us from all our problems, rather than throw all our failings into greater relief. So where does that leave us? Probably with a lot to learn, but also with a great opportunity for personal growth and shared happiness. The bottom line for me is that when relationships do work they are fun and a source of great pleasure and security, but when they don't they can make one rather miserable. On the whole, though, they do work - or at least can be made to work - with the right skills, and in co-operation with your partner. And for many of us, few things in life seem to be as worthwhile as investing in one's relationship. If you're having persistent trouble with your relationships, we do recommend counseling as a good way to re-establish the lines of communicating and harmony within an intimate relationship. For general advice on finding a therapist or counselor, check out (in the UK) BACP and North London Counseling and in the USA American Counseling. Don't make any mistake about the assumption that because we are human we're limited by human frailties, weakness and indecisiveness. The reality is that nothing could be further from the truth, because we all have the power of manifesting our reality. What this means in practice is that we can use the power of our minds generate new reality around us if what we experience in the world is not giving us what we want. So, for example, if you're in a relationship which is unsatisfying or inadequate for you, you can then use the power of your mind to manifest something better. If you're working in a job that you dislike, you can find your true passion and a way of expressing it that earns you a great deal of money. If you're accustomed to lacking wealth and abundance, you can find a way of being in the world that attracts abundance to you in great quantities. So on and so on and so on – everything is possible, using the power of your mind, the power of the universal Law of Attraction, and the understanding that we can gain from our experience in manifesting reality. So a crucial question is, how does this work? The answer seems to be that it works by using some mechanism by which the subconscious mind can tap into the universal energy source, making sure that we are connected with the formless void from which all existence on this planet springs. But more subtly than that, we can actually use the power of our mind to influence the way in which the formless void manifest physical reality. Both in terms of getting physical objectives to appear in our lives, or in terms of affecting the sequence of events going on in the world around us, so that we are gifted with what appear to be synchronicity and coincidence that favor our desired objectives and outcomes. Now I think most of us would agree that at some level the concept of manifestation by using the power of our mind makes a great deal of sense and indeed it's up to us to ensure that we can use that he gift which universe has given us satisfactorily and sensibly to achieve outcomes. If that's true, then the of his question as well why doesn't it happen more often? I think basically the answer to that is that we are hidebound and restricted by what we taught as children, experiences which almost invariably limit our expectations and squash the belief we have that the universe might be generous to us in offering us all that we require and want. It's a regrettable truth that most of us are brought up – whether our parents are "doing the best they can" or not – with a belief system implanted in us which is about limitation and lack, about deficiency and inadequacy, rather than abundance, magnificence and gratitude. Indeed, in that simple statement you can actually grasp the essence of manifestation. 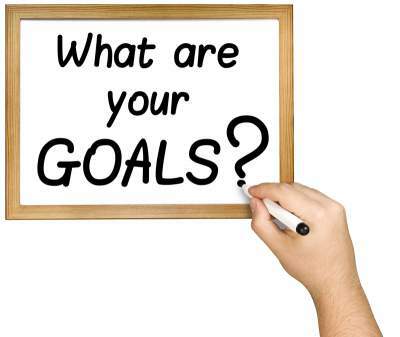 You set your goals. You must believe in what you're trying to achieve, and in the possibility that universe will be willing to give it to you. You must be willing to experience whatever manifests with an attitude of joy, expectancy and gratitude. And you should expect the best to happen, with your attitude being one of positivity. This is because a positive outlook causes positive events and "coincidences" to manifest in our lives. This is the Law of Attraction at work in your life. But in addition of course there's a little bit more work to do. Principles of manifestation do require you to spend time every day visualizing your desired objectives in a state of relaxation. This is a mental state where the subconscious mind can communicate directly with the universal intelligence. By doing so it will produce all the power and influence that we are able to bring to bear on the manifesting of reality. 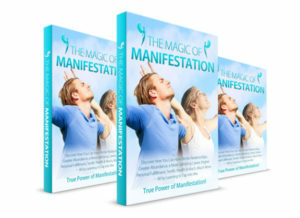 Now if you'd like to explore the meaning of manifesting in more detail, I highly recommend this website, because it's one of the best expositions of the principles behind manifestation that I've ever seen. Delicate, violent, often terrifying to both persons involved, a process of refining the truths they can tell each other. What is the Life Script? Are You Interested In The Law of Attraction? But you've never had much success in getting what you want? Well, all that is about to change... forever! You see, our colleagues at the most respected and most important manifestation website, "TheReal Secret Of Success.com", are offering 200 FREE copies of their classic 100 page eBook "Manifestation Magic". Manifestation Magic explains why Manifestation and Law of Attraction success is your birthright - and why you may not have succeeded in the past! This fantastic guide explains clearly and simply everything you could ever wish to know about the Law of Attraction and how to make it work for you. This information could change your life forever - if you let it! Simply click here to visit their site and pick up your copy of this amazing free eBook before they've all gone!